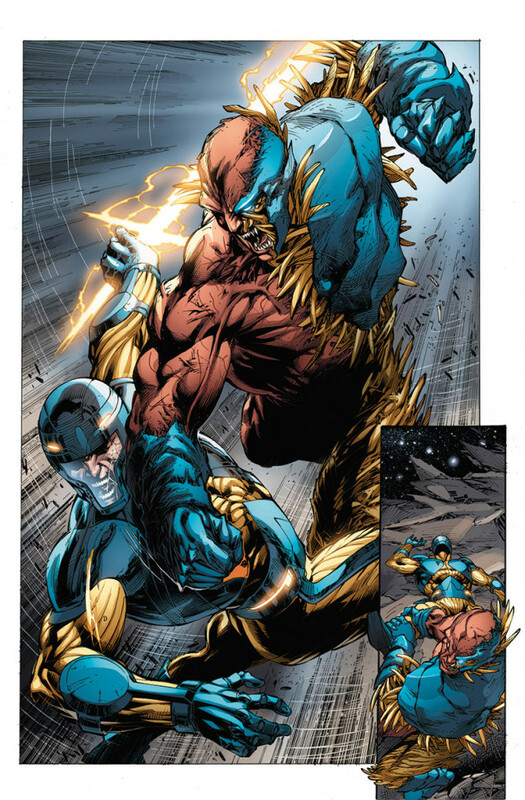 Valiant is proud to announce that both X-O MANOWAR #23 and X-O MANOWAR #24 – featuring the landmark PRELUDE TO ARMOR HUNTERS, Valiant’s summer 2014 crossover event – have both completely sold out at the distributor level and will soon return to store shelves with new covers featuring the stunning interior art of red-hot rising star Diego Bernard (Red Lanterns, Eternal Warrior)! 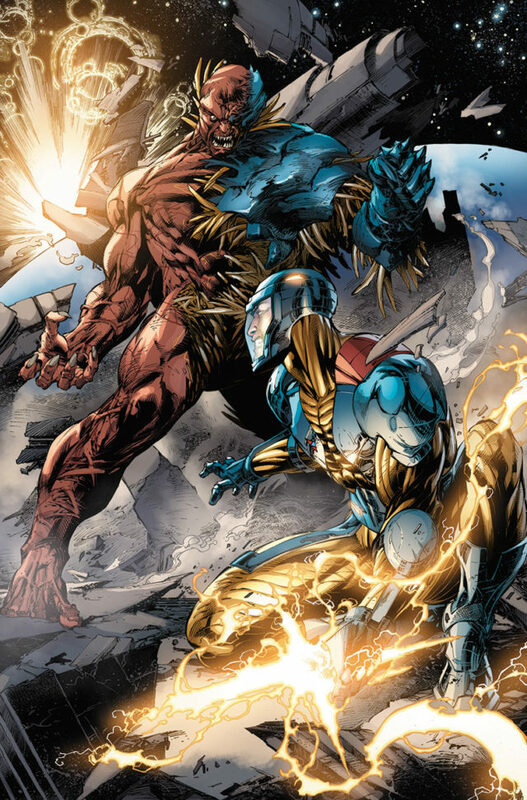 “Diego Bernard is a phenomenal new talent, and he’s delivering some truly mind-blowing work on PRELUDE TO ARMOR HUNTERS. 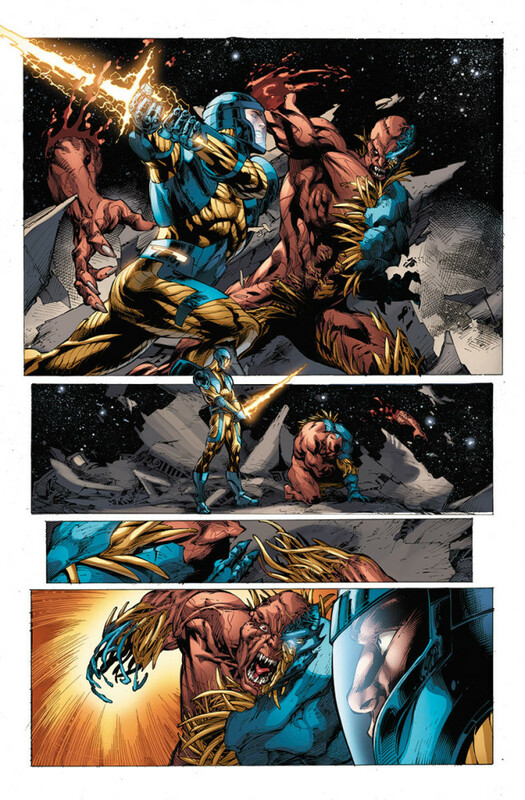 He’s dedicated to X-O Manowar for the long haul and, with his first issues rocketing into a lightning-fast sell-out, this is a perfect opportunity to showcase his jaw-dropping interiors with new covers for X-O MANOWAR #23 and X-O MANOWAR #24,” said Valiant Executive Editor Warren Simons. 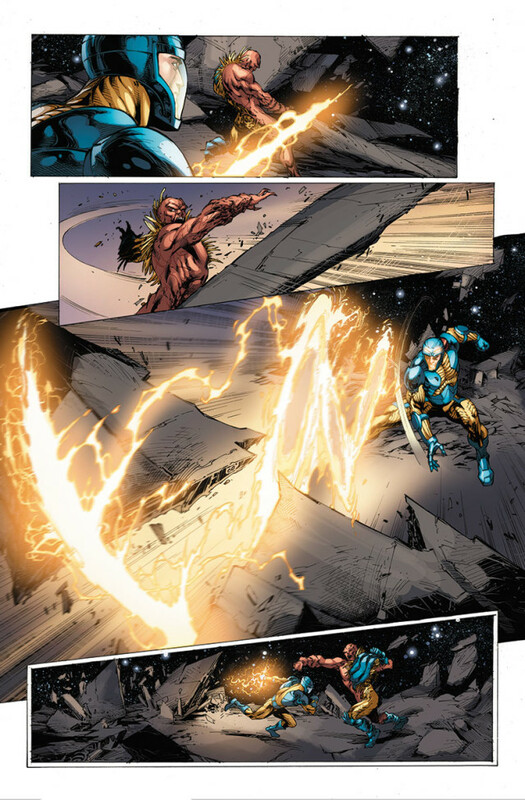 Written by New York Times best-selling writer Robert Venditti (Green Lantern, The Flash) with art by Bernard, the road to the Valiant event of 2014 begins right here in PRELUDE TO ARMOR HUNTERS as X-O Manowar hurtles toward his first epic confrontation with the galaxy’s most feared team of hunter-killers. 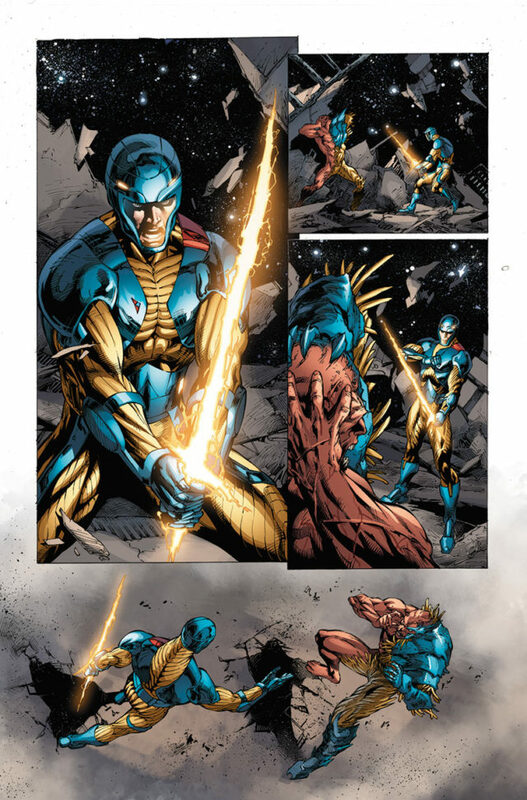 For eons, one threat above all others has brought pain and strife down upon civilizations across the universe – the X-O Manowar armor. 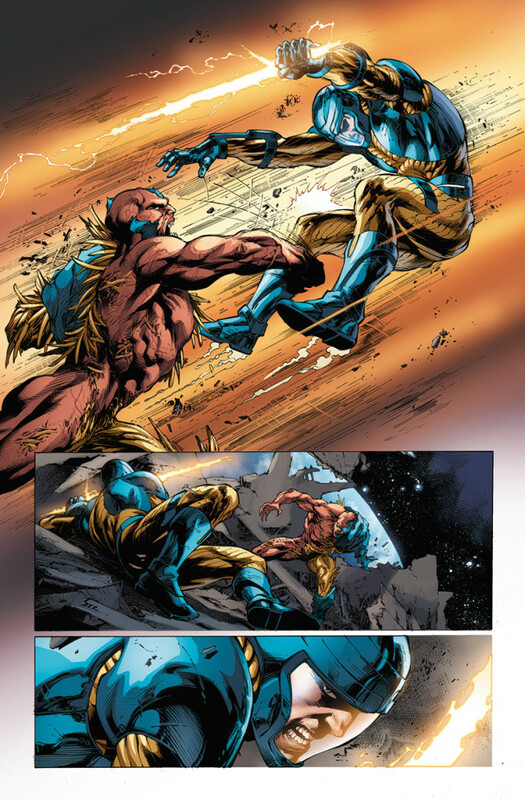 And now X-O Manowar has come to Earth. What will follow in its wake? Only the creature called Malgam knows the truth…and, before the ARMOR HUNTERS strike this June, Aric of Dacia is about to be forced into a brutal confrontation with the deadly legacy behind the universe’s most powerful weapon. 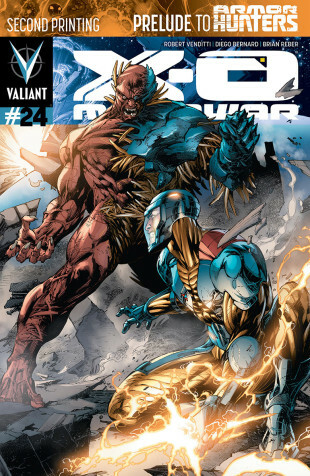 Picking up out of the pages of X-O MANOWAR #23 and X-O MANOWAR #24, New York Times best-selling writer Robert Venditti and superstar artist Doug Braithwaite unleash the first issue of 2014’s must-read crossover event this June in ARMOR HUNTERS #1 (of 4). 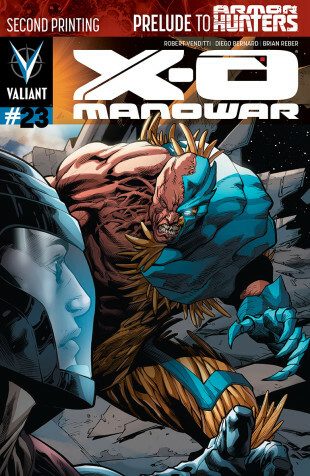 Then, Valiant’s biggest heroes launch the resistance against the world’s first full-scale cosmic threat with new arcs beginning in UNITY #8 and X-O MANOWAR #26 in June; and ARMOR HUNTERS: BLOODSHOT #1 (of 3) and ARMOR HUNTERS: HARBINGER #1 (of 3) beginning in July! CHROMIUM EDITION: $5.99/STANDARD EDITION: $3.99/T+/48 pgs.